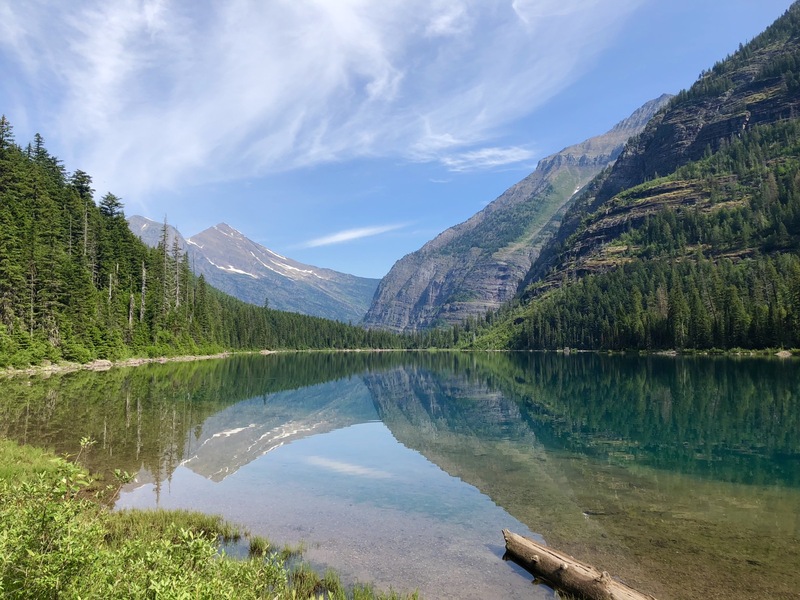 Experience Glacier National Park’s pristine forests, rugged mountains, thundering waterfalls, and spectacular lakes from the comfort of a local lodge. 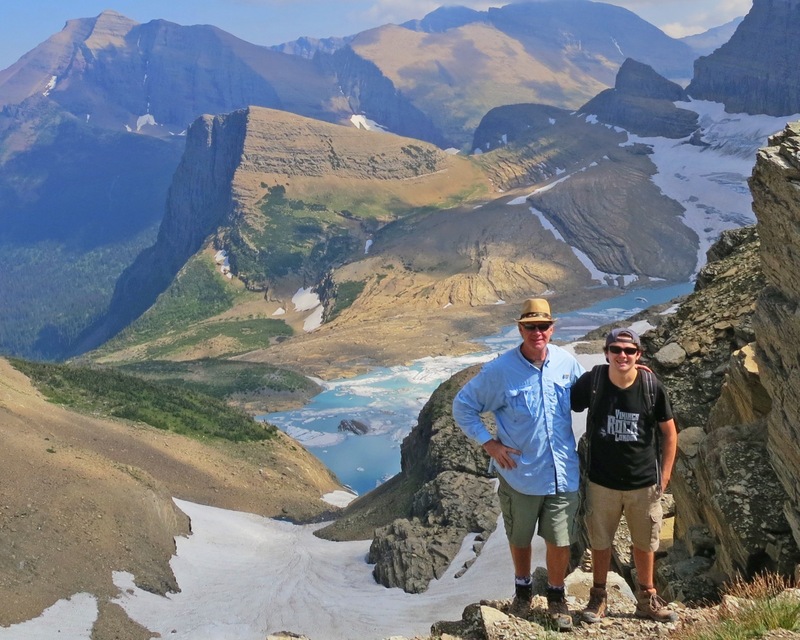 Our guides will help you explore some of Glacier’s most spectacular trails. 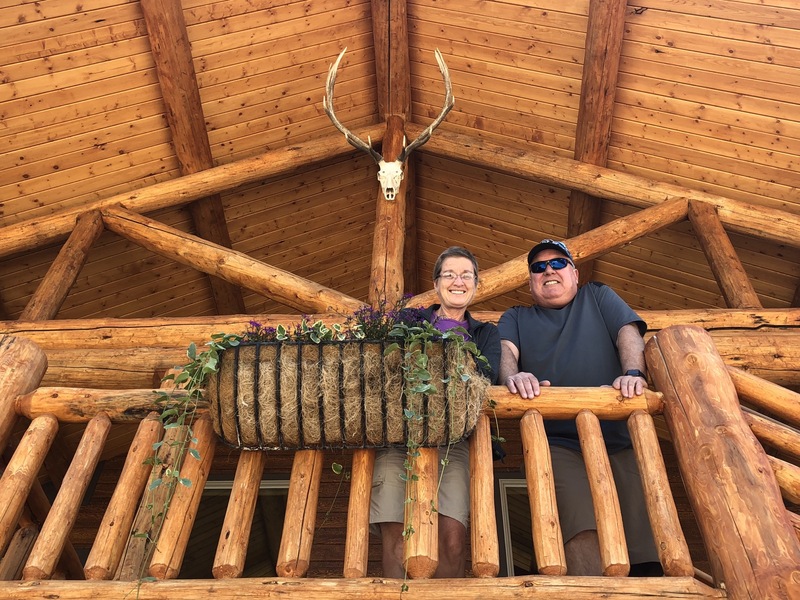 Raft the Middle Fork of the Flathead River, swim in Lake McDonald from a pristine beach, and sample huckleberry flavored treats. 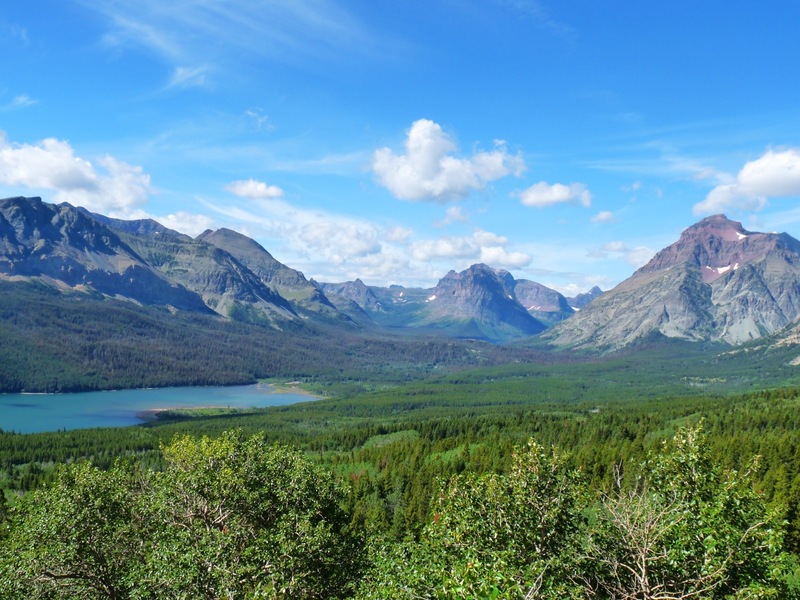 We’ll travel along the famous Going-to-the-Sun Road, stopping to take in the scenic vistas. 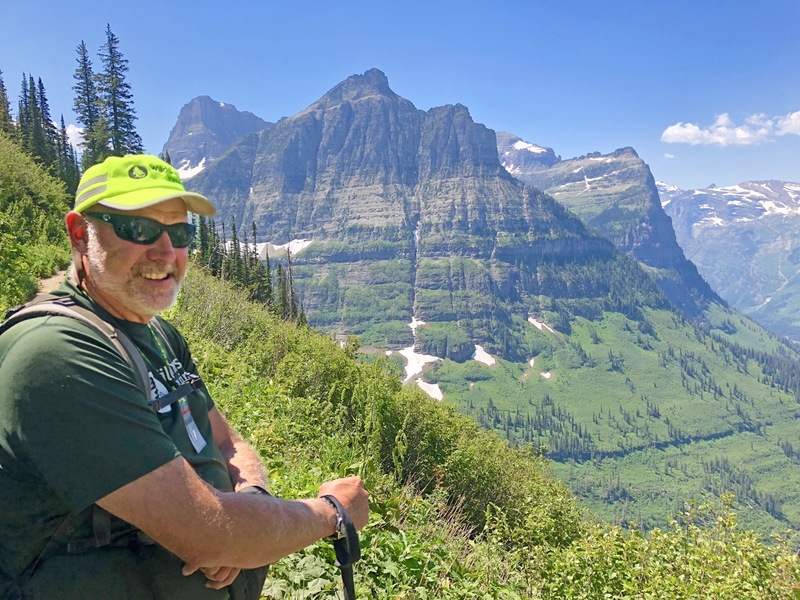 Learn more about the history, wildlife, and ecosystems of the Northern Rockies and Glacier National Park with informative, ranger-led talks. Spend the evenings relaxing in the lodge, reveling in your daily adventures over dinner and a glass of wine. Day 1: Welcome to Glacier National Park. The trip officially starts in the afternoon at West Glacier Lodge just outside Glacier National Park. Settle in and get to know your trip mates over a tasty dinner. In the evening, share expectations for the upcoming days. Day 2: Pass cascading waterfalls as you trek to Avalanche Lake. 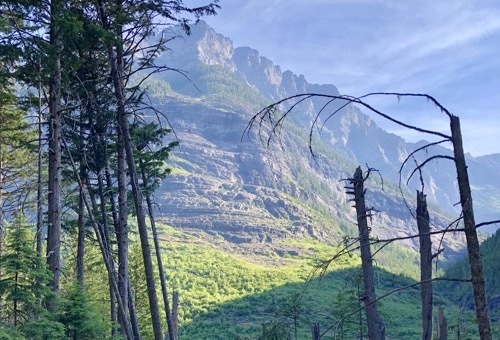 After an early breakfast with great coffee, head to the Trail of Cedars and Avalanche Lake trailhead. 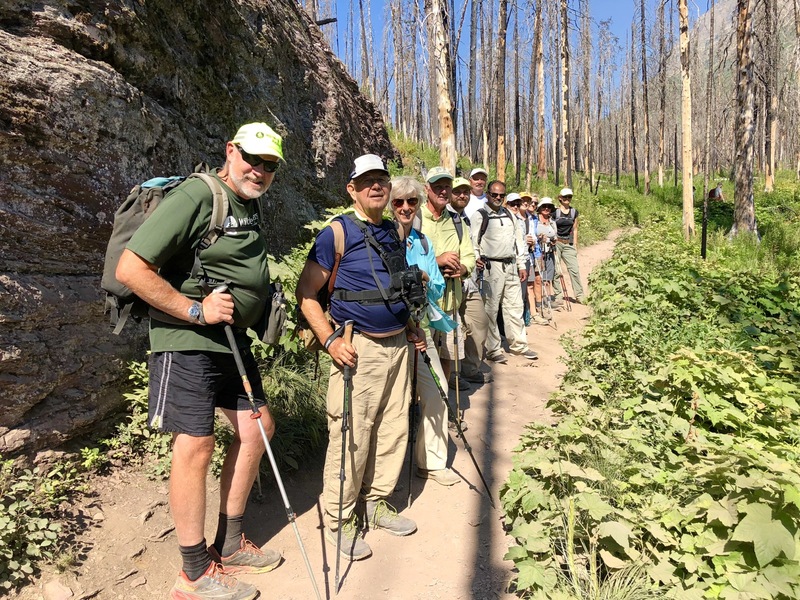 Hike through a grove of 500-700 year old western cedars. After lunch, continue hiking to Avalanche Lake where you will be greeted with waterfalls cascading down the hillside. Return to the lodge in the evening for dinner and relaxation. 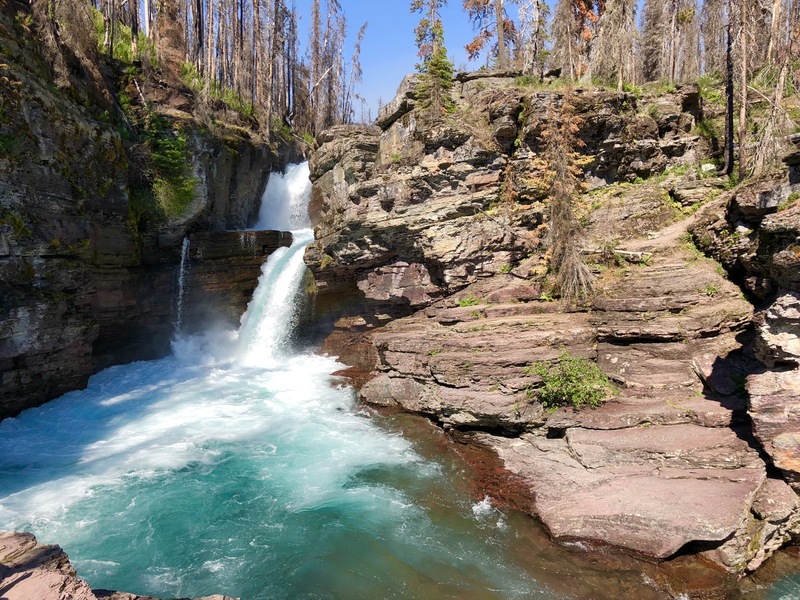 Day 3: Spend the day at Logan Pass and enjoy numerous hiking options. 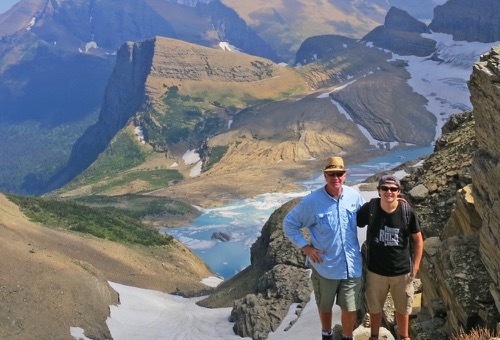 Spend the day at Logan Pass, the 6,646 foot backbone of Glacier National Park. 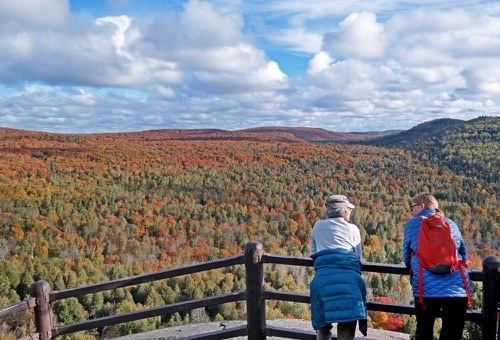 Whether it's the short but stunning walk to Hidden Lake or a trek along the Garden Wall, hiking opportunities and beautiful vistas abound! 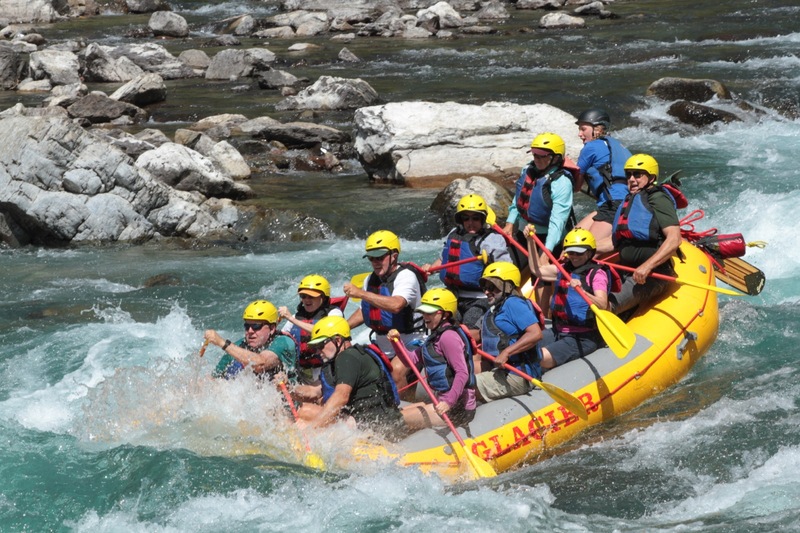 Day 4: Enjoy a rafting adventure on the Flathead River followed by a delicious barbeque. 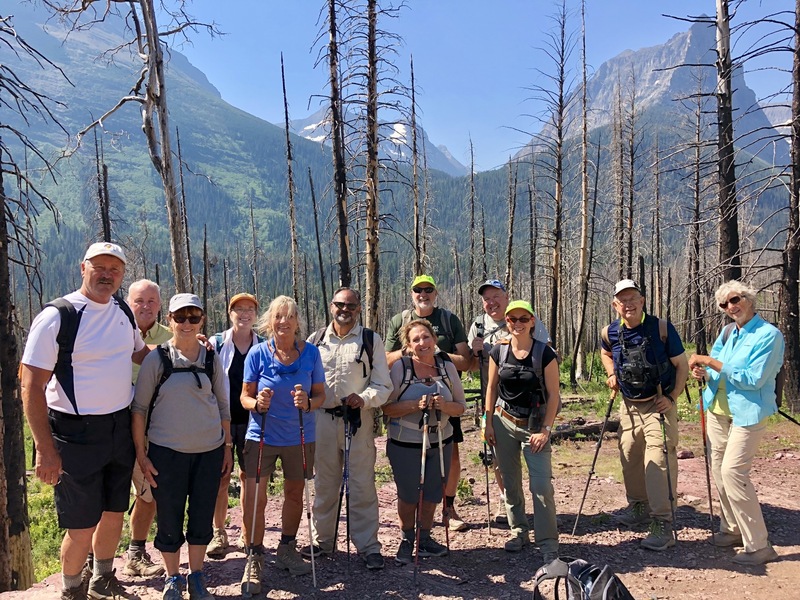 Enjoy a short hike through a recent burn area, admire the vistas of Lake McDonald at lunch, then head to the Middle Fork of the Flathead for a rafting adventure. 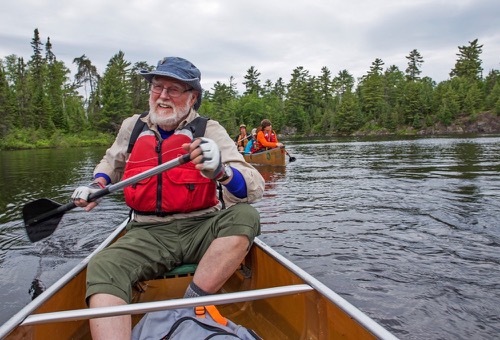 You'll enjoy the scenery and thrill of whitewater rapids like "bone crusher" and the "can opener." We're convinced these names are given to keep rafters alert and ready for the big wave. Return to the lodge for a great barbeque. 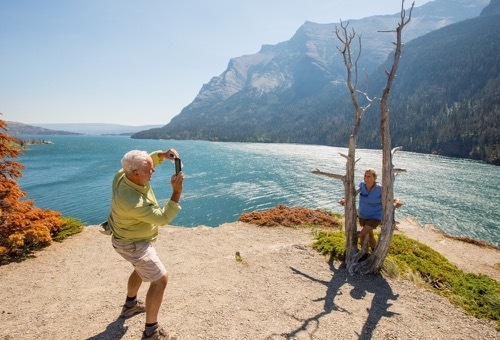 Day 5: Take in the stunning views of the eastern side of the park at St. Mary Lake. 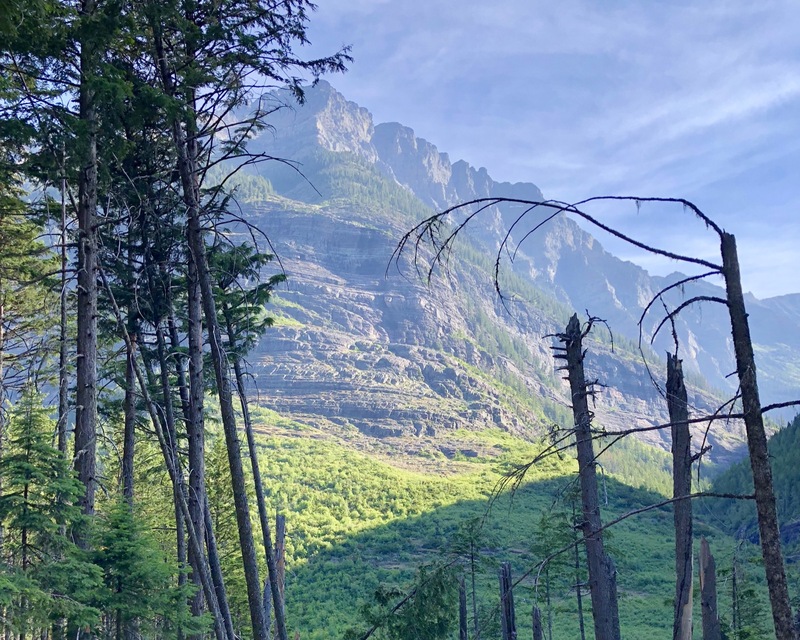 Get an early start and head toward the open and expansive eastern part of Glacier National Park in St. Mary Valley. 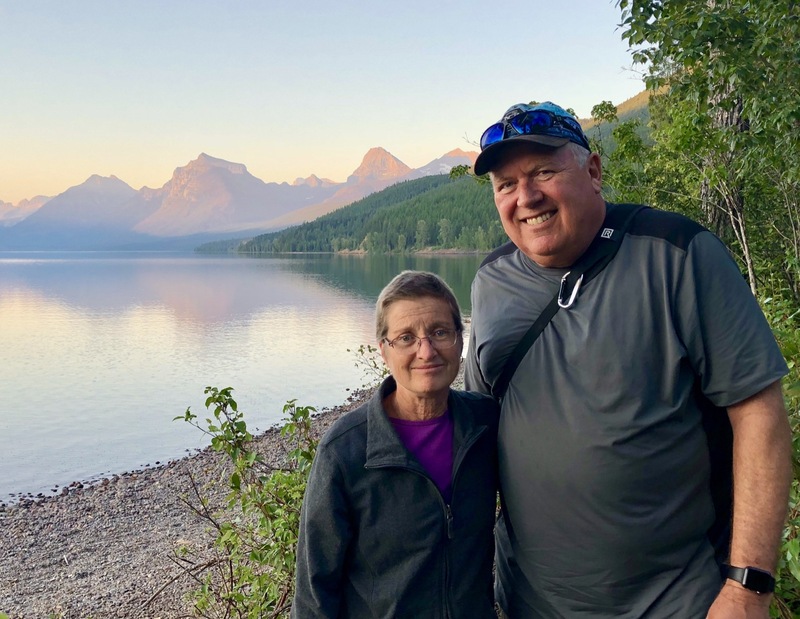 Hike to the St. Mary and Virginia waterfalls for a picnic lunch and then explore along the pebble shores of St. Mary Lake for exquisite views of the surrounding mountains. 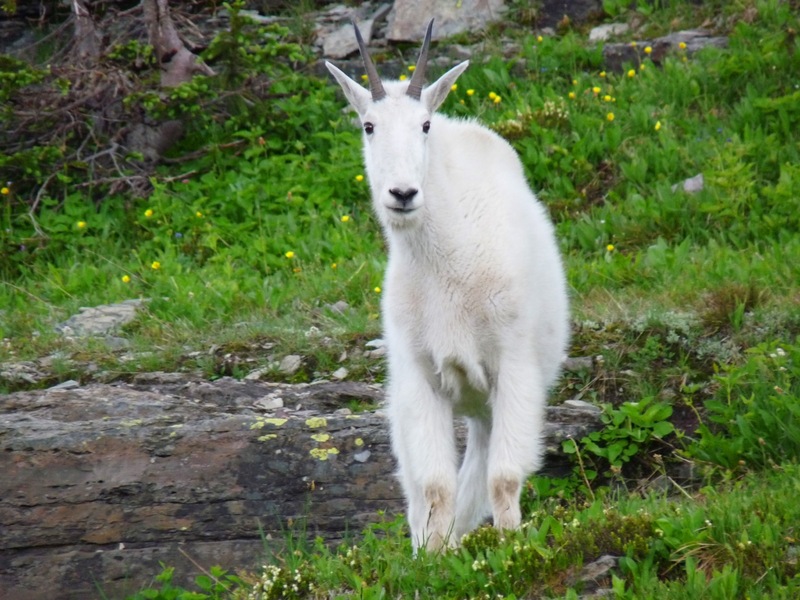 Watch for wildlife along your hikes - marmots, pikas, and bears all make their homes here. 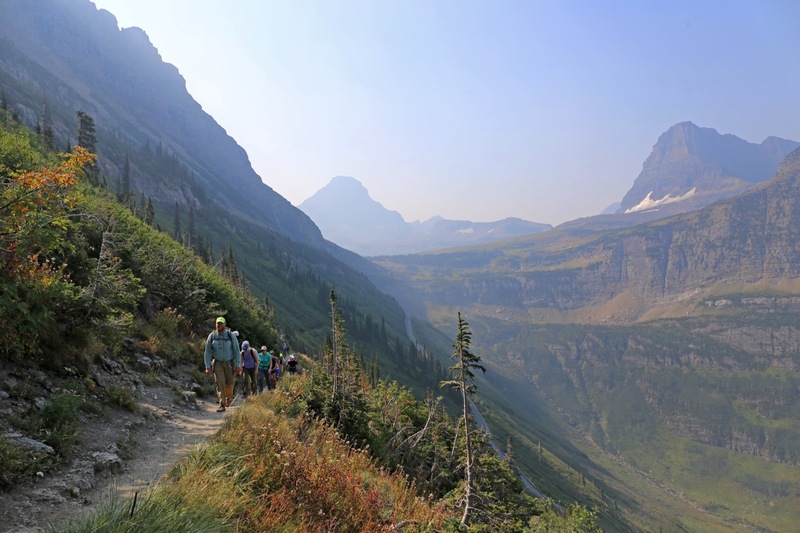 Travel up the Going-to-the-Sun road for a hike before returning for a final dinner at a beautiful lodge. Day 6: Enjoy one final adventure and say farewell to your trip mates. Enjoy a final breakfast before our departure. 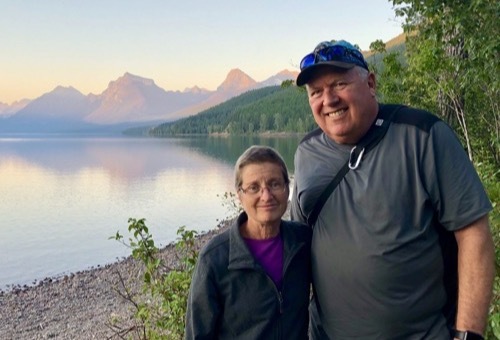 If time allows, participate in one last hike near Lake McDonald or stop by the Visitors Center to pick up a souvenir. 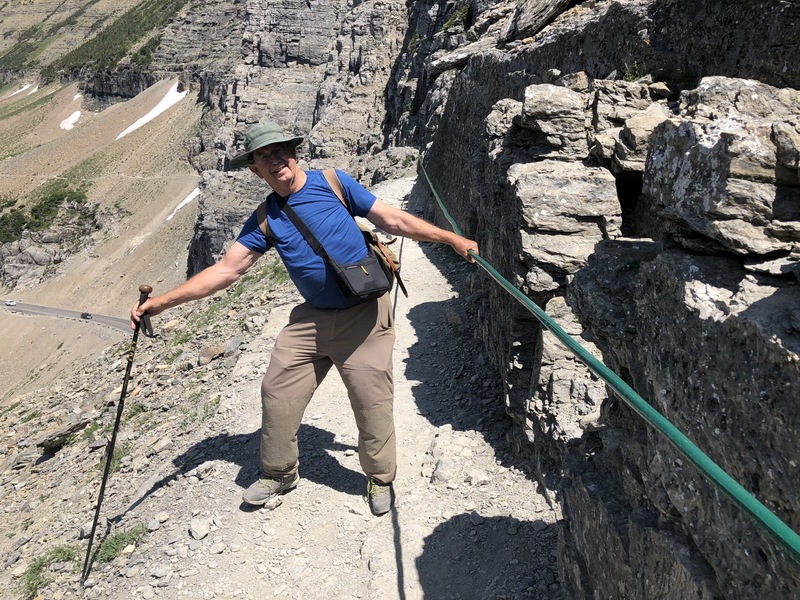 TERRAIN/ROUTE CHOICES: Glacier National Park offers a wide range of hiking route options from very easy to difficult. 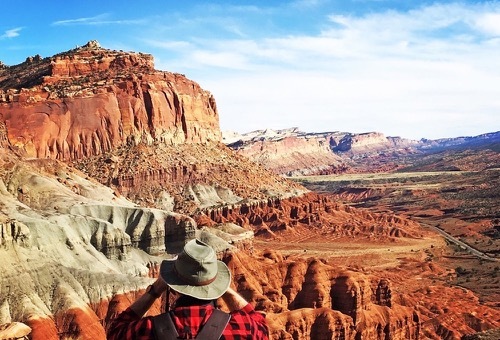 Come prepared for easy to moderately difficult day hikes, which will involve distances between 1 and 5 miles. TYPE OF TRAVEL: Within the park, we’ll get around with a combination of WI van, participant vehicles, NPS shuttles, and, of course, hiking. You will carry a small day pack with your lunch and other gear that you want access to during the day. LEVEL OF DIFFICULTY: You will be hiking in varied terrain and weather conditions. No previous experience is needed to complete this trip. WEATHER: Due to high elevations, temperatures in the summer months fluctuate from 35° F to 95° F. Temperatures change quickly. 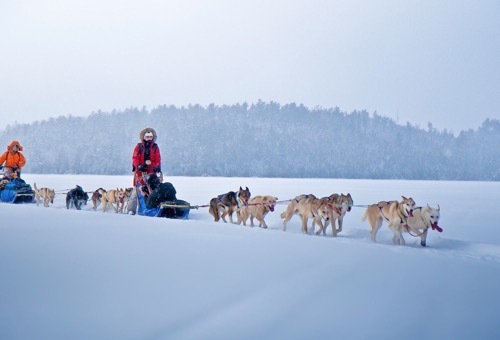 ACCOMMODATIONS: At night, you will sleep in a single or double occupancy lodge room. Couples traveling together will share a private room, solo travelers will be paired with participants of the same gender. Single rooms for individuals can be guaranteed for an additional supplement fee. 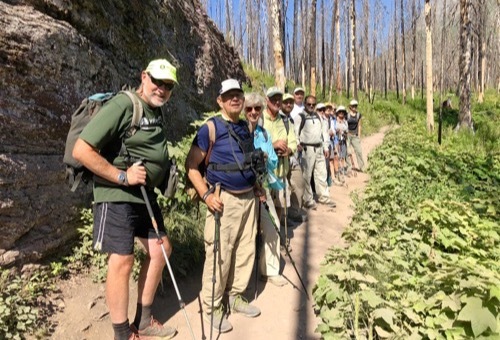 YOUR GROUP: The group size ranges from 6 to 10 adults, plus 2 or more Wilderness Inquiry staff. MEALS: The food we bring is plentiful and nutritious. You can expect great breakfasts served with fresh coffee, trail lunches, a variety of snacks, and delicious dinners with dessert. If you have special dietary restrictions, be sure to list them on your registration. 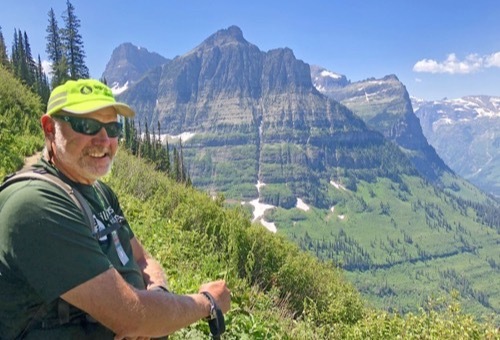 This trip begins at 2:30 PM at the West Glacier Lodge just outside Glacier National Park. The trip ends at 2:00 PM in the same location. 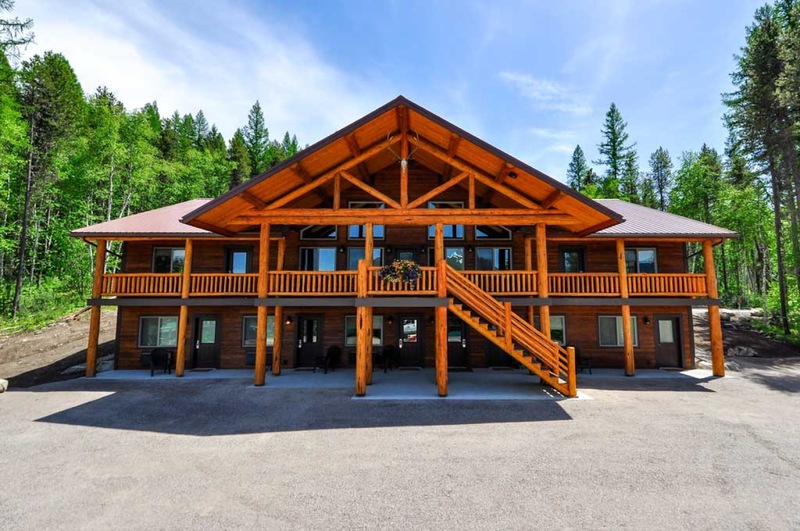 To get to the lodge, you can take your own transportation or use WI’s van transportation from Kalispell. If meeting us in Kalispell, you will be picked up at the Hampton Inn at 1:00 PM on the first day of the trip. People who take the return shuttle on the last day of the trip will arrive at the Hampton Inn in Kalispell around 3:00 PM. Detailed meeting place instructions will be sent to you when you are confirmed for the trip. Booking a Flight? We recommend flying in to the Kalispell City Airport before noon on the day of your trip, and flying out no earlier than 5:00 PM on the last day of the trip. 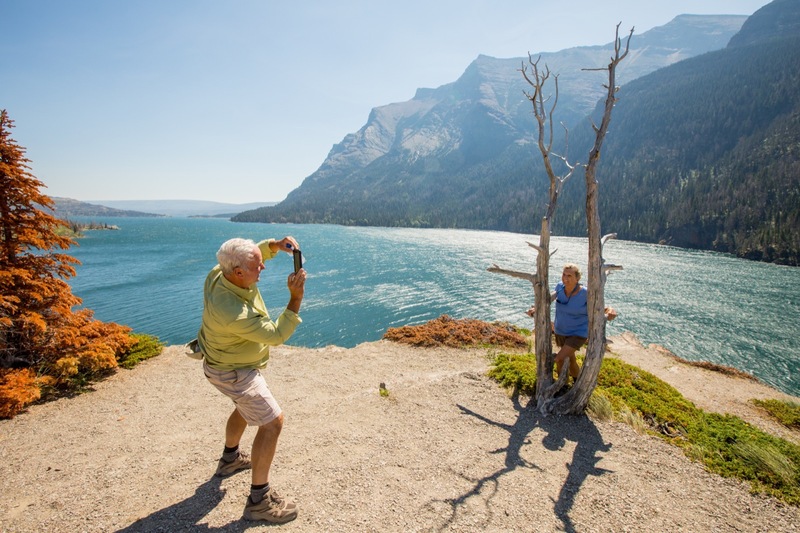 Do you have a single supplement for Glacier National Park Lodge-Based Hike and Explore? You can elect to guarantee a single room for the duration of the trip for $595 during the registration process.